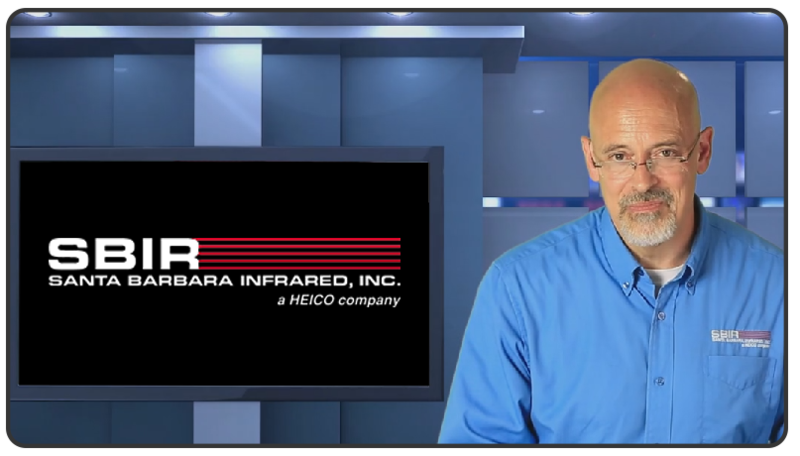 Santa Barbara Infrared's Infinity Series of absolute temperature only blackbody systems (EX Series) are designed to support the most critical infrared (IR) testing requirements. The Infinity blackbodies offer the best performance available. Fast, stable, uniform, accurate and reliable, these blackbody systems provide performance enhancements and features that set them apart from previously available systems. An optional new ultra-black surface coating - VANTABlack®-S - can be applied to the source plate providing unprecedented emissivity on a flat plate blackbody system. A key feature is the new iProbe from SBIR. This intelligent temperature sensor is calibrated independently of the blackbody system. To re-calibrate the system you need only exchange the probe with a recently calibrated one. No special equipment is required thus minimizing downtime. 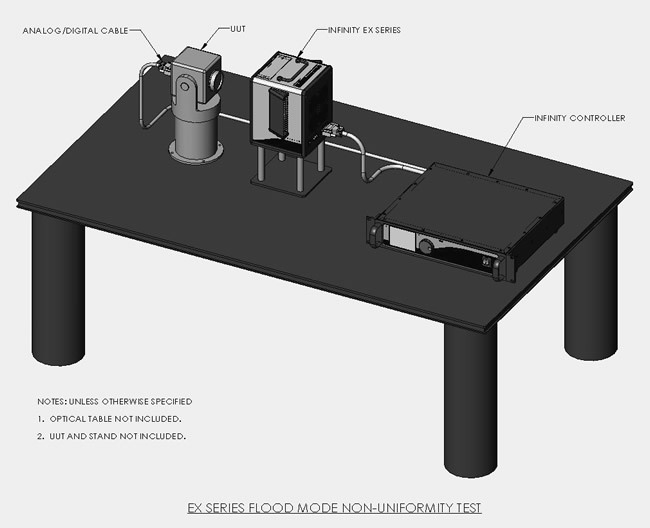 Our EX Blackbody Series is designed for use as a flood source for non-uniformity correction and for calibration of IR sensors. 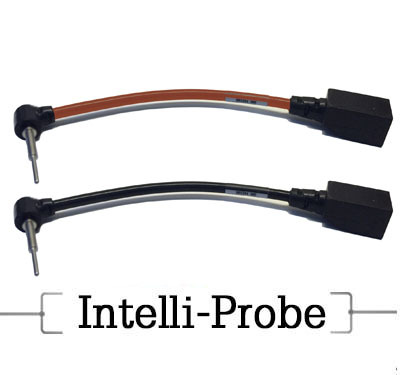 Ultra-stable, highly responsive iProbe are used to provide very precise control and accurate system performance. The iProbes are calibrated to an accuracy of 0.010ºC. System uncertainty including calibration and stability is +/- 0.01ºC or +/- 0.1% of set delta T whichever is greater. The Infinity blackbody incorporates design and construction features that maximize spatial uniformity and minimize convection influences resulting in typical surface uniformity of > 98% of set absolute temperature less ambient temperature or 0.010ºC, whichever is greater over 90% of the emitting surface area. 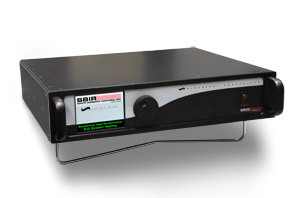 SBIR has developed unique temperature measurement and analog-to-digital conversion circuitry with integrated control logic that results in extremely responsive temperature control. True set point and precise milli-kelvin control have been achieved allowing for testing at contrast levels of 1 milli-kelvin. The 19" 2U rack mountable controller features a touch screen display and supports remote computer control over Ethernet or RS-232. 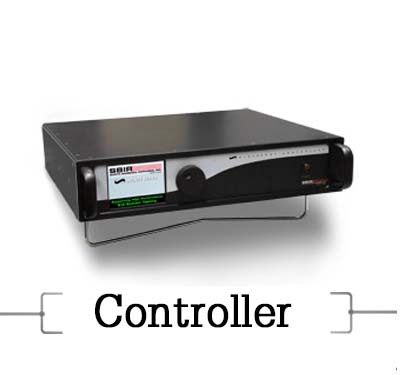 The controllers are also available with an optional IEEE -488 Interface. Attenuation caused by optics, differences in emissivity, ambient temperature change, and waveband of interest may result in reduced radiometric accuracy . When operating the controller in the radiometric mode, compensation for these factors is automatically applied, adjusting the blackbody as required to produce the correct radiometric output. 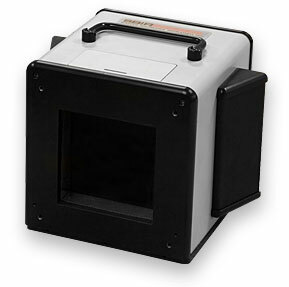 This option includes a probe block and temperature sensor for accurate ambient temperature measurement. 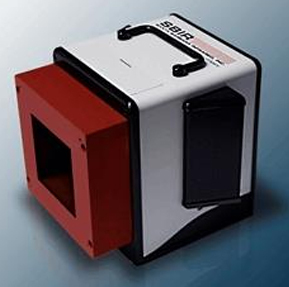 The Infinity Series is also optimized for seamless integration with the SBIR's IRWindows™ test system. IRWindows™ is an advanced software tool that automates the setup, execution, data collection and results analysis for industry standard performance testing of infrared, visible and laser sensor systems. The Infinity EX Series blackbody system includes a temperature controller (19” rack mount or desktop configuration), blackbody head, interconnect cable, power cable and manual. The blackbody heads are available with emitting surface sizes including 4”,6”, 8” and 12” square. 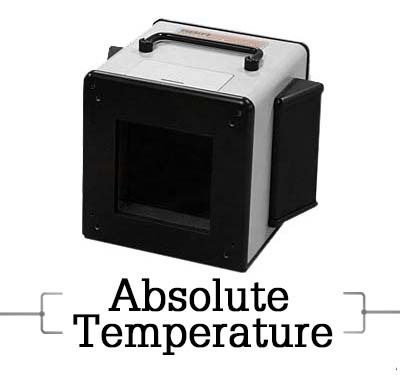 Standard and optional temperature ranges can be viewed in the Specifications section. An optional coating utilizing VANTABlack®-S can be applied to the source plate providing unprecedented blackbody emissivity in boththe MWIR and LWIR. MWIR emissivity is greater than 99.8% +/-0.1% and LWIR emissivity is greater than 99.5% +/-0.15%. SBIR now offers the VANTABlack®-S coating on blackbody applications worldwide under an exclusive licensing agreement with the manufacturer of this exciting proprietary treatment. Radiometric differential temperature accuracy is enhanced with this feature by accounting for error due to optical attenuation background temperature differences and non-unity emissivity. 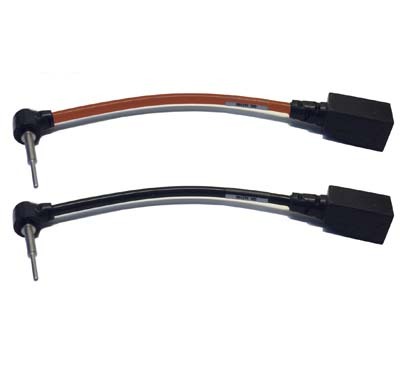 This option includes a probe block and temperature sensor for accurate ambient temperature measurement.. Approximate Blackbody Weight EX-04—15 lbs., EX-06—25.0 lbs., EX-08—40.0 lbs., EX-12—50 lbs. SBIR classifies blackbody model numbers based on five different features that a customer can choose from. 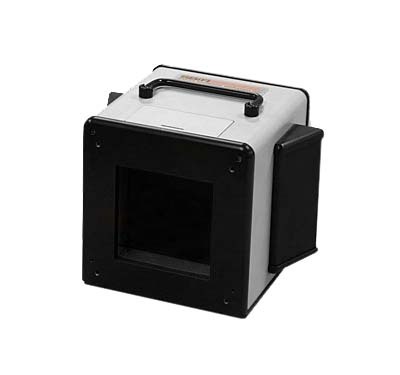 Features include blackbody size, temperature range, country’s power cable type, specified cable length, communications interface options and configuration option. • Blackbody Size: 04", 06", 08" or 12"
Cable Length: 10 ft., 25 ft., 50 ft. 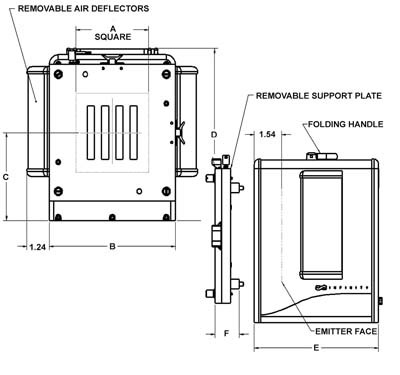 Please contact the SBIR sales team at (805) 965-3669 or via sales@sbir.com to ensure the proper part number and to receive a quotation.